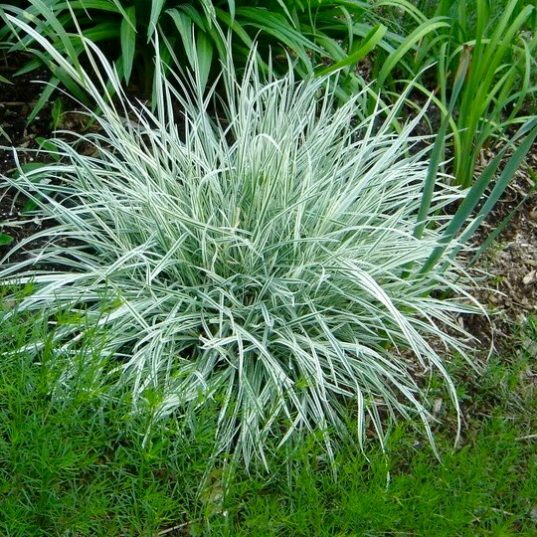 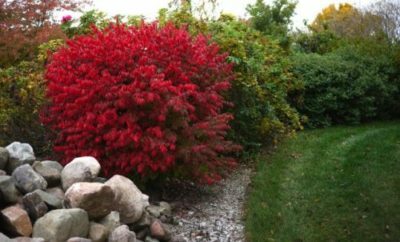 Eye-catching white striped foliage and low mainenance. 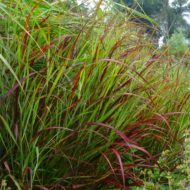 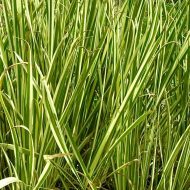 Bulbous Oat Grass reaches one feet and produces attractive oat like flowers in cool climates, but does not flower in areas with hot summer nights. 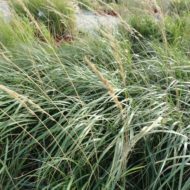 Arrhenatherum elatius bulbosum ‘variegatum’ is one of the most versatile grass, relatively drought and soil tolerant and thrives in all exposure range from shade to full sun. 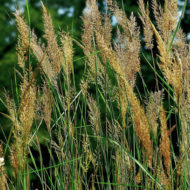 As a cool season grass, theTuber Oat Grass goes dormant in summer.